If you have problems accessing websites with your CAC please try the following ideas. Idea #1: Manually delete the websites you are having problems accessing. This also helps if you lost access [for no apparent reason] to sites you access with your CAC. Step 1-2: Select login (under Keychains), and All Items (under Category) see image below. You will see all items that are being saved in your Keychain Access. These can include settings for your home Wi-Fi network and / or CAC websites / Identity preferences that you have visited and used your CAC on previously. 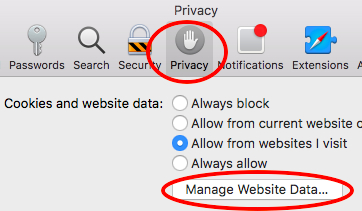 Step 1-3: Click the column heading titled Kind, scroll down to Identity preference, Delete all CAC enabled websites you are having problems accessing. 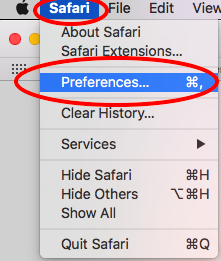 You can hold your control key and click your single button Mac mouse and select Delete, or if you have a two button mouse right click and select Delete. Example of mail.mil entries to remove. You will see something different than "mont"
NOTE for Mac OS Sierra & High Sierra users, if you have attempted to access websites using the built in Smart Card ability in Mac OS, (example: did not install CACKey, Centrify Express, or PKard), then in the Kind column look in the Certificates area for the entire web address. This is what you will remove because the built in does not enter in the Identity Preference area. Some of the same "bad certs" that have caused problems for Windows users are showing up in the keychain access section on Macs. These need to be deleted / moved to trash. 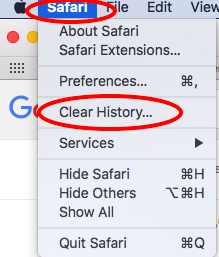 Step 1-5: Clear your web browser history, then revisit the CAC website you were having problems accessing. 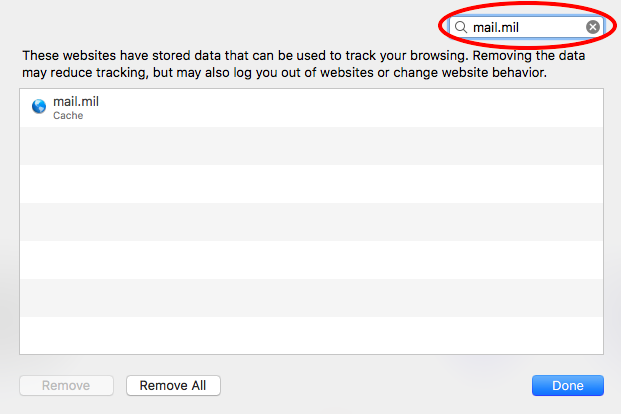 Step 1-5e: Type mail.mil [or other sites you are having problems accessing] into the search box (upper right side of active window). You can also wait a few moments for sites to come up automatically. Step 1-5g: Reinsert your CAC in your reader and try accessing the CAC enabled website again. NOTE: If you delete the login folder rather than the items inside it, you can restore it by navigating to /users/<username>/library/keychains/login.keychain and double clicking it. 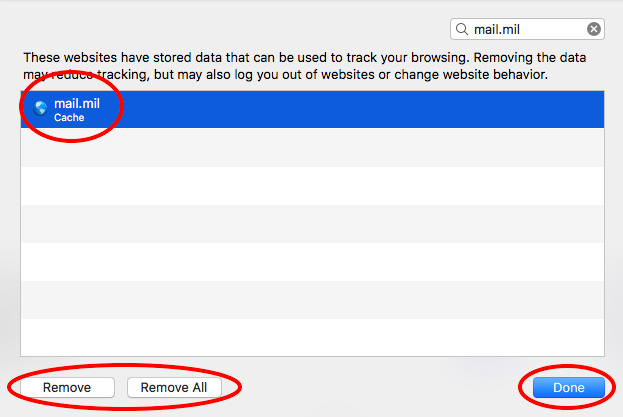 The Mac OS will cache some information about your CAC in order to read the data faster the next time it's being used on your computer. Sometimes this cache can cause issues after receiving a new ID card. Thursby's suggestion is that you remove your card from the reader, download the utility from the link below, then run the app for "if you have received a new card or new certs." This will clear all of the token cache information by running a Terminal command. There is no completion dialog, you may be prompted to type in your computer password. Please run this utility and contact Thursby if you continue to have trouble. 1. Select the 3 equal lines (upper right corner of your Firefox web browser). "G&D FIPS 201 SCE 3.2."